Calgary's Sean Monahan and Johnny Gaudreau each recorded four-point games as the Flames erased a three-goal deficit by scoring five times in the second period in a wild 9-6 victory over the host Columbus Blue Jackets on Tuesday. Monahan and Gaudreau had two goals and two assists each in the offensive eruption. Elias Lindholm, Matthew Tkachuk, Noah Hanifin, T.J. Brodie and Austin Czarnik also had goals. Mark Giordano added three assists, and Tkachuk also had a three-point game for the Flames, who won their third straight. 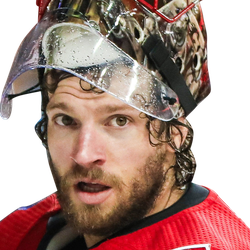 Calgary's Mike Smith had 13 saves and an assist in two periods of relief of starter David Rittich, who made 11 saves. Columbus' Cam Atkinson had a hat trick to extend his point streak to 11 games -- the league's longest active stretch -- and Zach Werenski, Josh Anderson and Nick Foligno added goals for Columbus, which lost its second straight. Sergei Bobrovsky made 18 stops before being relieved by Joonas Korpisalo, who had one save. The Flames tallied first when Monahan dropped a pass from the slot right behind to Gaudreau, who fired a high shot that beat Bobrovsky on the glove side at 6:24 of the first period for his 11th goal. Werenski snared a long rebound and fired in his fifth goal at 9:47, the 100th point of his career. 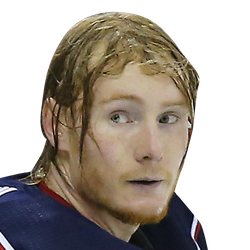 Anderson gave Columbus its first lead when he scored his first power-play goal, his 12th overall this season, at 15:43 when he sniped a wrister from the high slot. Calgary committed a turnover in the neutral zone that led to a pass from Artemi Panarin to Atkinson, who blasted a shot from above the right circle to beat Rittich on the far side. Atkinson scored again 49 seconds into the second period. However, the Flames exploded for the remainder of the period. They cut it to 4-3 quickly when Monahan scored on the power play, and Lindholm found the net 51 seconds later for his 13th goal this season. Tkachuk tied the score at 4-4. Hanifin gave Calgary a 5-4 lead when he finished a between-the-legs pass from Tkachuk, and Brodie's putback of a rebound made it 6-4. Foligno scored his seventh as the period ended 6-5. Monahan and Gaudreau scored again for an 8-5 lead. Atkinson had his 19th, scoring to make it 8-6, then Smith held on for the win.